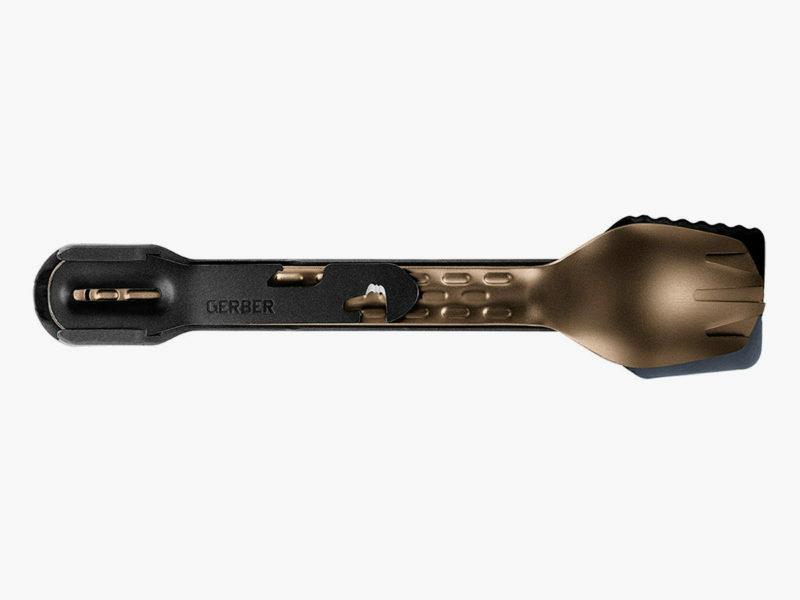 Gerber is back with a more comprehensive (and aptly named) set of interlocking culinary tools. 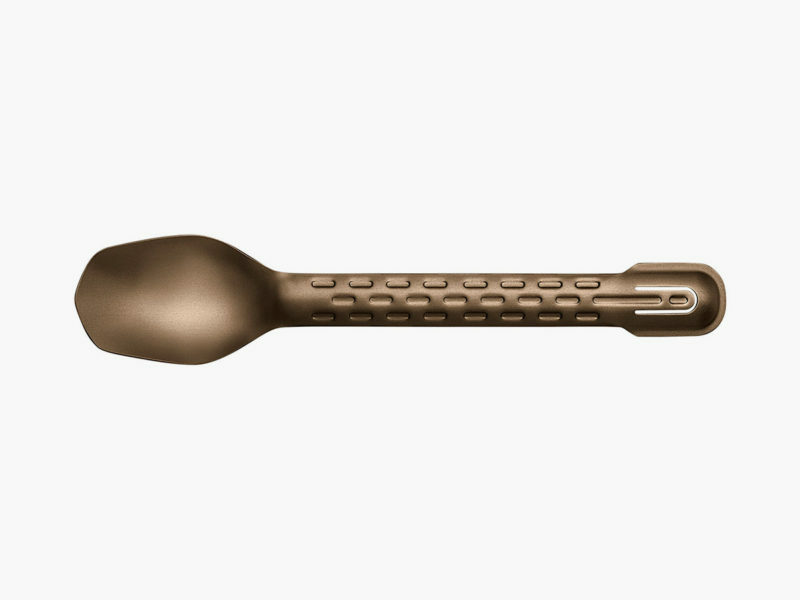 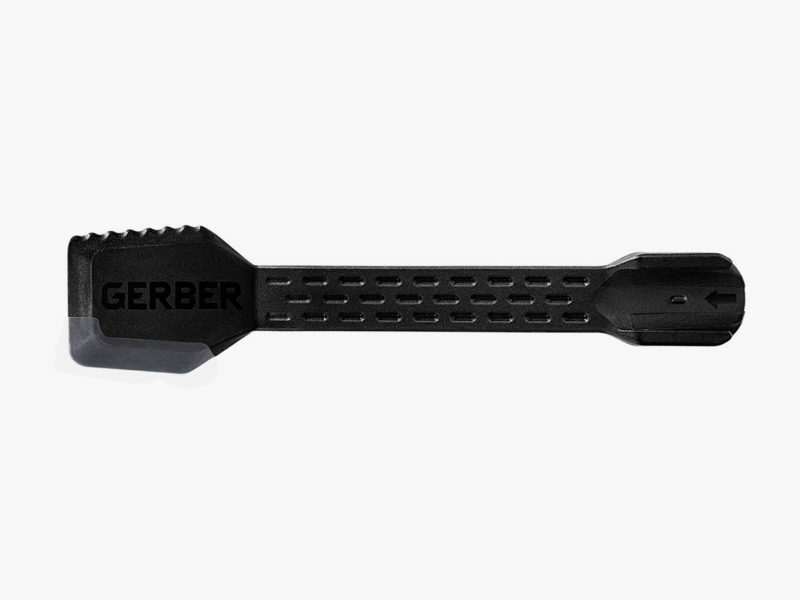 Although its brand name may be more closely associated with the feeding of babies, Gerber is on a roll when it comes to producing utensils to feeding adults while camping or trekking in the wilderness. 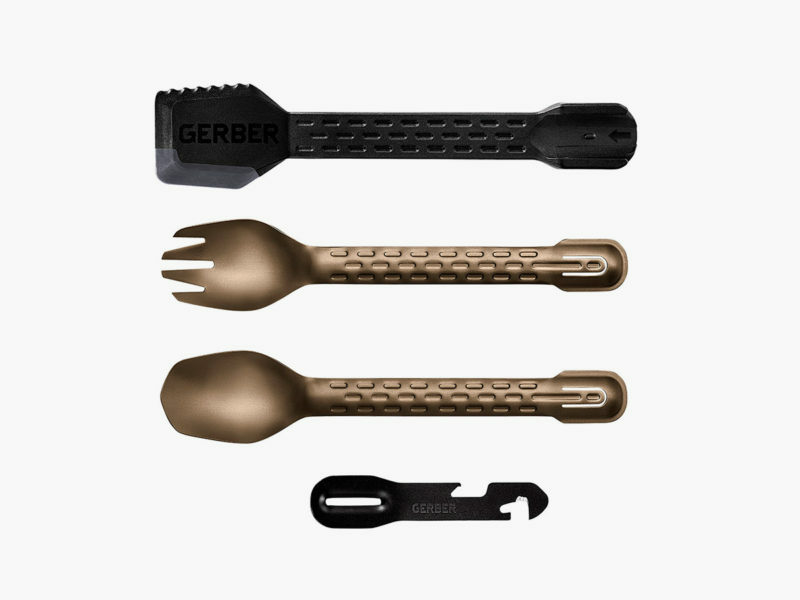 Last summer, we talked about the Gerber Devour Multi-Fork, an incredibly light yet highly functional spork and a connected multi-function tool that not only allows you to place your fork down while keeping it clean, but also open, cut, or peel a variety of goods and foodstuffs. 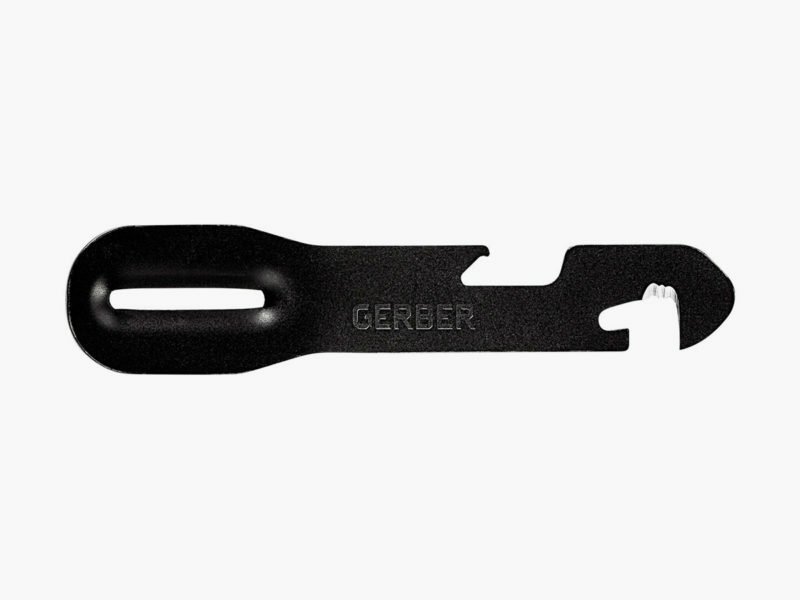 Now, Gerber is back with a more comprehensive set of interlocking culinary utensils that is aptly marketed as the ComplEAT Tool. In addition to a redesigned Multi-Fork and multi-tool, ComplEAT features a handy spoon and a silicon dual-sided spatula. 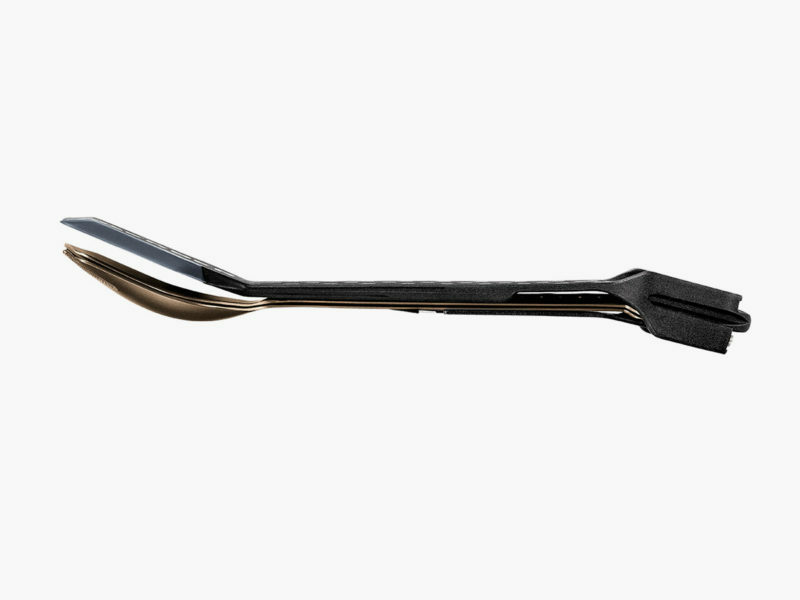 To manage weight and promote easy cleaning, both fork and spoon are comprised of stamped aluminum. 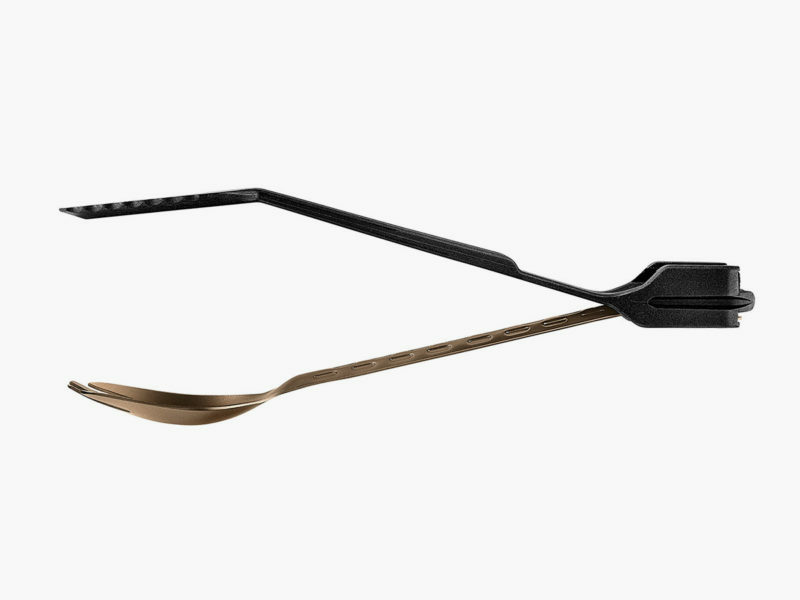 The various components of the ComplEAT Tool can be combined to create a pair of tongs or nest within one another for a slim storage solution.